sterling silver jewellery york fashion jewellery Sterling Silver Jewellery: Sterling silver Anklets 925 heart, key long bracelet Sterling silver jewellery range of Fashion and Danon jewellery. Sterling silver jewellery is durable, easy to clean and naturally hypoallergenic, so perfect for those with sensitive skin! Anklets can be hard to find, but we have a fantastic sollection at Rue B- We aim to include anklets to fit every style, so you're sure to find something to your taste. Whether you prefer a floral daisy chain, or a simple plain chain, or a layered boho look, we have something for you! 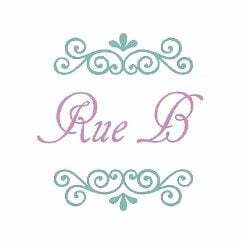 Our Rue B branded Anklet collection ranges from dainty plain silver chain styles to more ornate charm styles. Anklets are also ideal as bracelets for ladies with larger wrists. Free delivery option on all UK orders.